His name is George and it’s his goal is to make the holiday merry and bright for me and my family and friends. This year, because George is an overachiever, part of his merry-making involves a deep desire to get a copy of TOUCHING THE SURFACE under every Christmas Tree, Menorah or Kinara. The problem is, that’s a lot of work for such a little guy. He can’t do it alone. 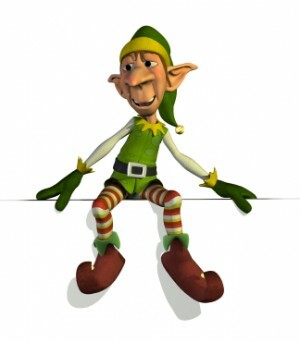 I’ve looked into other options and unfortunately, getting a supplementary inner holiday elf isn’t possible. You should see the paper work involved. *head thunk* But wait–there is still hope. In the spirit of the holiday season, Oblong Books & Music has volunteered to deliver signed copies of TOUCHING THE SURFACE to your doorstep in time for your holiday gift giving extravaganza or for your post-holiday collapse in front of the fireplace, where only a cozy read will do. Yay!!! Between now and THE MORNING OF DECEMBER 14th you can order a signed copy of TOUCHING THE SURFACE right HERE!!!!!! Of course, George and I would also love it if you’d help to spread the word. Thank you so much. Now that we’ve encouraged books sales, the support of indie bookstores and spread kindness to inner holiday elves everywhere, we can move on to the fun portion of this blog. Love glitter? Hate glitter? Where is the most unique spot you’ve managed to find glitter residue? Any tricks for removing hard-to-remove glitter?